Love dogs? Love stickers? Then you’ll love this! Cute stickers and wooftastic facts galore: an instant way to bring on a big smile. If the gorgeous photos don’t get you wagging your tail (and we know that’s not likely), the amazing chunky keyring definitely will. 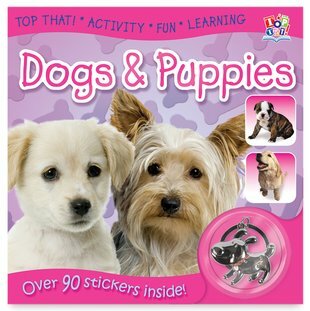 Don’t forget to decorate everything you own with heaps of huggable doggy stickers: almost 100 in all.